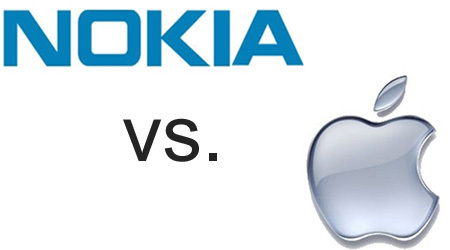 #Apple guilty of stealing #Nokia and #Sony’s ring silencing patent! The company Mobile Media Ideas, LLC, where Nokia and Sony hold 10% of shares, have won the patent infringement case against Apple. Apple had infringed a patent, owned by Maryland-based Mobile Media Ideas, LLC, for a ring-silencing technology on mobile phones, which is registered under Patent No. RE 39,231. The trial began in 2010, when the patent war between Nokia and Apple has started, which by the way ended in 2012 with Nokia’s victory and Apple had to pay compensation and license fees for every unit sold. The first decision was made in 2012 when Apple was found guilty of using 4 out of 15 patents for which he was being sued. Apple tried to appeal but, three days ago came the final verdict where Apple was charged for patent infringement of just one patent and that the company had to pay $ 3 million to the Mobile Media LLC, which is 18 million less than the company prosecutors claimed. The license agreement between Nokia and Apple expires in 2017, after what the revision of that deal will follow will follow with Nokia having much better negotiating conditions for striking an even better deal. Reason for this is in fact that in 2012 when Nokia and Apple signed the licensing contract, finish company was using some of Apple’s patents for her own phones, and now when Nokia is not involved in phone manufacturing directly, it could seek higher royalties. Even though Nokia won’t see much of $ 3 million, it’s always nice to see Apple losing at courts :).